In 1929, Mickey Schwartz began selling ice cream in Philadelphia from a wooden box carried over his shoulder. From there, his Jack & Jill Ice Cream Company grew into a successful street vending and vending machine business. The first street vending truck was purchased in 1938, and, a year later, the company created a vending machine division. In the early 1980s, Jack & Jill brand novelties were introduced. By mid-decade, the company's ice cream product line grew beyond novelties to premium ice cream, frozen yogurt, sherbet and water ice. 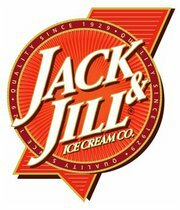 Now based in Moorestown, New Jersey, Jack & Jill Ice Cream's distribution area has expanded beyond the Delaware Valley to Maryland, Virginia and Washington, D.C.
All flavors of Jack & Jill's ice cream - except for Chocolate Chip Cookie Dough, Blueberry Cheesecake, Strawberry Shortcake and others with brownie, cookie or cake products - are gluten free. In addition many of the company's novelties are safe, including the Toasted Almond Bar, Cherry Slush Bars, Screwball, Stix varieties and ice cream cups. A complete ingredients and allergens list can be found at the company's website. FYI, I called the company today and there the GF flavors are produced on the same lines as those with gluten. This is imporant to mention because many people can become ill from cross contamination.